 An inquisitive young lawyer is all that threatens the success of a plot to precipitate a capital-markets meltdown that will yield its villainous instigators a megabuck return: an impressive first novel by the pseudonymous Rhodes. Soon after joining Wolcott Fulbright, a Manhattan-based investment firm with world-class credentials, attorney Rick Hansen becomes curious about the apparent suicide of his predecessor, Thomas Bingham. He soon determines that the dead man was probably murdered and steps up the pace of his unofficial investigation. 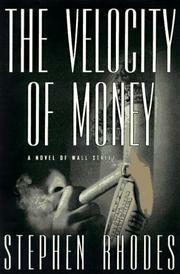 Rick's inquiries quickly bring him to the attention of the nine- member cabal that retains an inside man at Wolcott and had recruited Bingham as a go-between in a scheme to drive stock prices down by as much as 50 percent, using automated trading programs that target derivatives (risky hedging instruments whose values derive from other securities or commodities). Under the manic direction of an evil genius variously known as Philip Colbert or Charles Stone, the high-tech conspirators (who call themselves the Contrarians) engineer a one-session drop of seven percent in the Dow Jones, a test run Wall Streeters dub ``Freefall Friday.'' While preparing for their climactic payday, the intriguers also keep tabs on Rick, who's coming ever closer to unraveling the masterplan. Indeed, the amateur sleuth visits a supercomputer center outside Pittsburgh, where he joins forces with Freddie Zaraghi, a savvy young hacker well versed in chaos theory and market crashes. With Freddie in tow, Rick returns to New York to mount an 11th-hour defense against the doomsday assault the Contrarians have unleashed on the world's financial capitals. A blue-chip debut thriller that brings new resonance to the old saw of getting killed in the market.